Hi my dear 91 followers! That’s right, I now have 91 followers! 75 on GFC and 16 on Bloglovin’. Once I have 100 followers on GFC there will be a give away, so keep ’em coming! 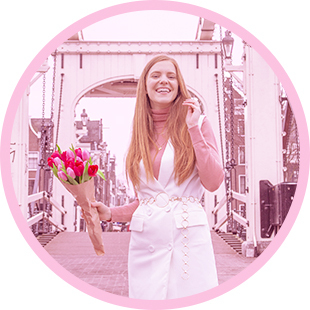 Today I would like to share my 5 favorite bloggers outfits of last week with you again. Ready to get inspired? Click on the blog names to go to their blogs! I just love her pants. They’re the most beautiful shade of green there is. And she combined it wonderfully as well! The first guy ever to be featured in this post! I started following his blog only about 2 weeks ago and I really love his style. I love his blazer and hat the most. I love the colour burgundy and she’s wearing the most perfect outfit for these rainy fall days like we’re experiencing in the Netherlands right now. I love that this is mostly a black and white look and then the bag stands out like BAM! I only just discovered her on Lookbook and emediately started following. 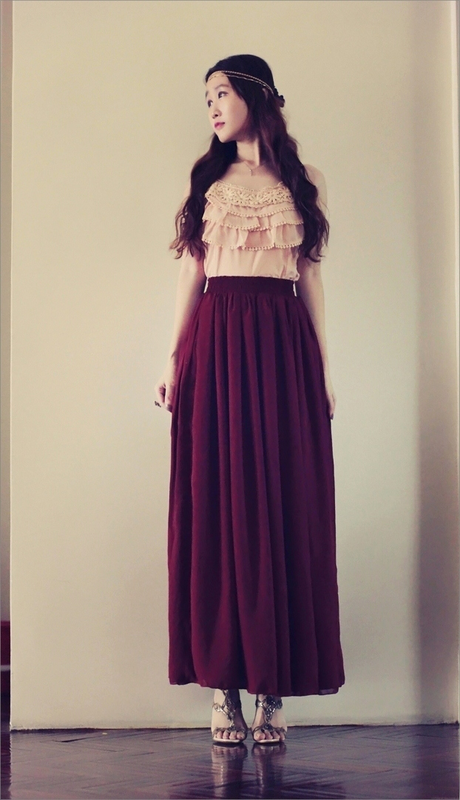 I love her burgundy maxi skirt and she combined it in a lovely romantic way! Anjelica heeft echt een mooie outfit! Love it.